The Hexa is underpinned by an upgraded chassis from the erstwhile Aria MPV, but it's reinvented as a SUV. Tata has tried really hard to make the Hexa look as new as possible. But the stronger SUV like styling still doesn't quite conceal the fact that it's actually a MPV. Nevertheless it does have a hefty street presence. Ingress and egress is not bad, but you have to use the running boards to climb into the high seats with a lofty view. 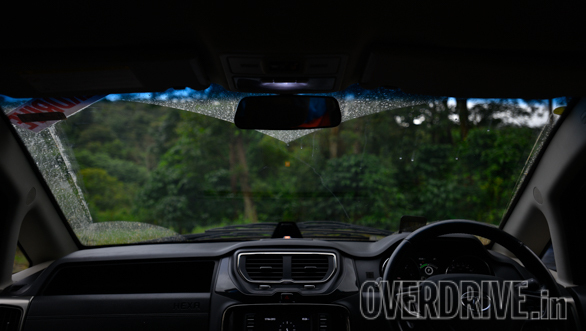 The bulky A-pillars restrict cornering visibility and the wipers do not cover a large portion of the centre, top and left-hand side. Even when not in use, they block the view due to their high resting position. It has satisfactory ground clearance but a long front overhang. 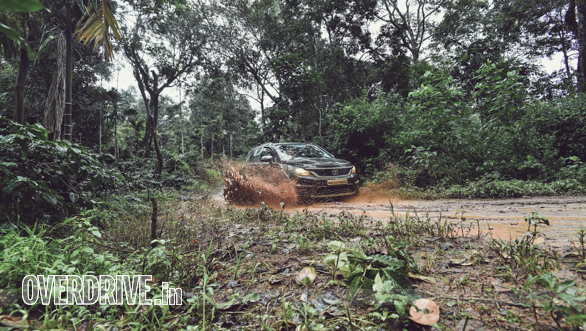 The Hexa is available with all-wheel drive with a 'rough road' mode. However we could not try this out, as the vehicle we got was a two-wheel drive variant. 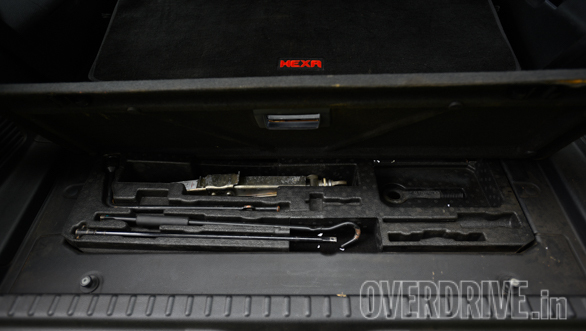 Storage space in the cabin is really limited and access to the jack and toolkit is cumbersome. The comfortable ride quality is ideal for our imperfect roads but with the small tank capacity and unimpressive fuel consumption, tank range is 700km. 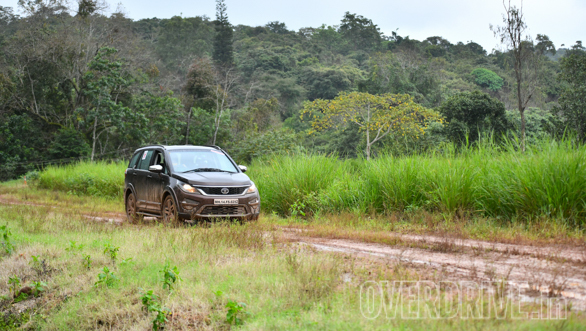 Given its size and weight, the Hexa was surprisingly entertaining to drive. Simply because the torquey engine and suspension setup allows one to keep pushing even with the tail continuously stepping out and requiring constant corrections.